Additive Manufacturing is making an incredible difference in the medical industry. From 3D printed hearts to knee replacements and 3D scanners, 3D technologies can change or even save millions of lives. Another interesting aspect of using 3D printing in this field is prosthetics. You might have heard about 3D printed prosthetic arms, but that’s not all there is to it. How else can we benefit from Additive Manufacturing when it comes to prosthetics design? This might not come as a surprise to you, but it is a topic worth mentioning. According to research done by Amputee Coalition, on average there is an amputation done every 30 seconds and life after such procedure is hard. But there are people out there using the latest technology innovations to help others. E-nable is a global network of passionate volunteers who help amputees. Thanks to 3D printing, amputees can have a new E-nable device in a short amount of time. The prosthetic hand is fully customized, matching the limb of the user, costs only a fraction of normal prosthetic costs, and dramatically improves the life of the amputee. Bringing all those aspects together in one product was impossible before Additive Manufacturing. Prosthetics are either cheap, but not functional and not personalized, or personalized and very expensive and they always take a lot of time to produce. 3D printing is truly changing the world of medicine and engineering. Looking absolutely stunning and even impossible Exo by William Root breaks the boundaries of logic. He brings a new level of the esthetics of prosthesis. His prosthetic leg is not only beautiful but also fully functional. First of all the designer improved the time-consuming process of manufacturing a prosthesis. Normally, the amputee had to have a mold done of his limb, then a cast was made, vacuum form, check for fit, assembly, and then adjustments are done. Of course, the tedious process has to be repeated again until the fit is just right. When it comes to 3D printing, you scan the limb, adjust the 3D model and then print the design. Simple, fast, and effective. And in addition to that, beautiful. The prosthesis can be fully customized for the user, comfortable and expressing their character. People are not the only ones whose lives changed thanks to Additive Manufacturing. We already talked about a few animals such as a penguin and a duck with a prosthesis, now it’s time for Millie, the greyhound from Australia. She’s a rescue dog, which was kicked out because of a bad paw. Unfortunately, professional prosthetics cost 10 000$ and they are not as personalized. The owners turned to Autodesk, a leader in 3D modeling and CAD software. 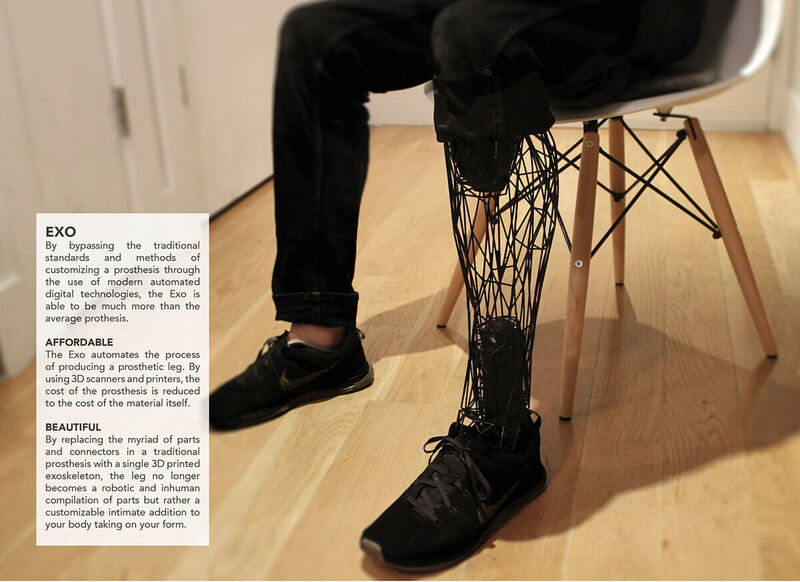 With Fusion 360 they designed a new, ideally-fitting prosthesis and then 3D printed it. Most of all, 3D printed prosthesis matches exactly the needs of Mille and her limb. It doesn’t cause her any discomfort and allows her to play and be a happy pup. It was also a quick process, and on top of everything was much cheaper. 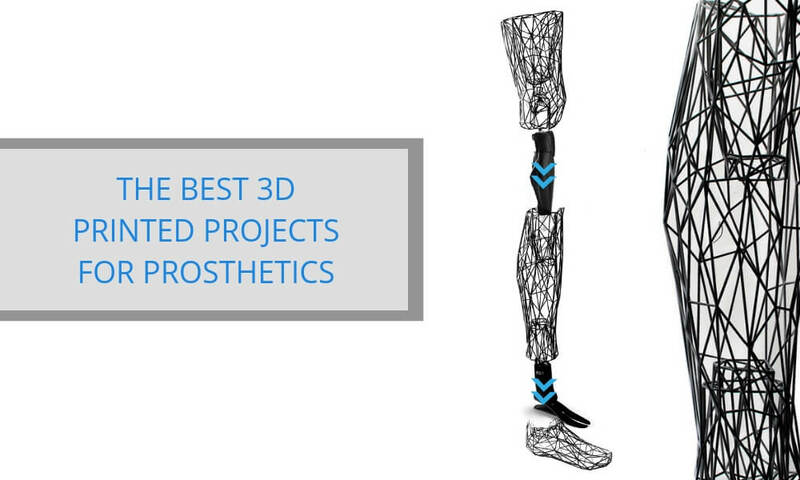 What is the future of 3D printed prosthetics? It is definitely bright! As you’ve deen in this article, the presented examples show how beneficial Additive Manufacturing is to the medical industry. 3D printing prosthetics are cheaper by thousands of dollars. They are also much more comfortable, fitting exactly the limb, not causing pain to the user, and they are highly customized. This level of personalization has never been achievable before. Examples like E-noble show that you can 3D print too. With online 3D printing services, it is as easy as uploading your file and you will get an instant quote! And in case of any questions, we’re here for you. Contact us and we will share with your our 3D printing expertise. Did you like this article? Stay tuned for more with our Newsletter and Facebook!